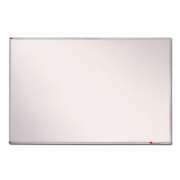 The right blackboard or whiteboard can go a long way in a business or school. 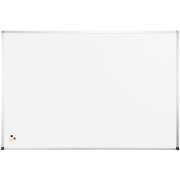 Best Rite&apos;s boards come in all shapes and sizes and are appropriate for the corporate boardroom as well as the preschool classroom. Both portable and wall-mounted models are available, as well as a number of special styles including music boards and felt boards. 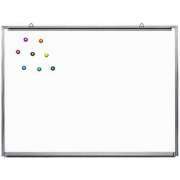 Whether you are keeping track of new ideas or teaching a lesson about shapes, dry erase boards, bulletin boards and chalkboards from Best Rite Manufacturing are invaluable tools. With 25- and 50-year warranties from Hertz Furniture, anyone can afford to choose a better board. Choosing the ideal board is entirely a matter of taste and needs. 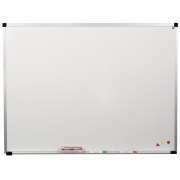 Although white boards have become increasingly popular over the past few years, some still prefer chalkboards. 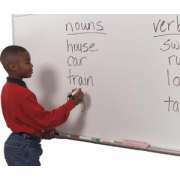 Dry erase boards are easy to write on and have none of the squeaks and chalk dust that bothers many who have used blackboards. However, marks from dry erase markers are harder to get out of clothing and some people are bothered by their smell. Both options come in wall-mounted and portable styles. A board that is permanently fastened on the wall is great because it will always be there when needed. 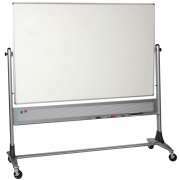 Reversible whiteboards and double-sided chalkboards are always convenient to have because they can turn any space into a classroom or meeting space. Additionally, they provide the added benefit of twice as much work space with two sides to write on. The downside of a portable model is that someone else might move it or two people might need it at the same time. 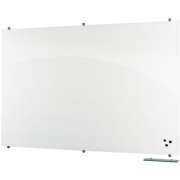 Chalkboard and whiteboard easels are perfect for an early-childhood or elementary school classroom. They can be used anywhere in the room and are ideal for small-group instruction when a teacher wants to work with particular students without disrupting the rest of the class. Single- and double-sided models are available, and some even come with built-in storage bins which provide the perfect place to store markers, chalk, erasers and other accessories. 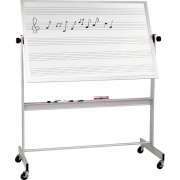 In the band room or music room, specialized music boards can really come in handy. Their permanently-fixed bold black music lines save time and ensure that the score or scale you are studying can be seen clearly. 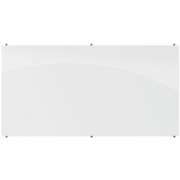 Double-sided music whiteboards are especially useful because they enable you to focus on two different things at a time, without having to erase and redraw either one. This arrangement makes it easier to have music in the educational environment. 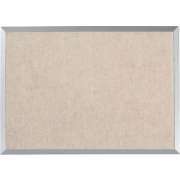 A fun alternative to the classic board materials is a felt board. Flannel boards are often used in preschools and daycares. Precut shapes, letters and pictures can be affixed to the soft surface for fun and interactive lessons. Felt boards can be used in a preschool learning center. 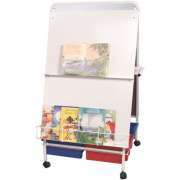 Some models come with a holder for displaying big books, charts or posters which make them a great fit for the reading corner or a special activity station. Every company, school and organization needs convenient ways to pass along information, publicize announcements and generate interest in events and programs. A strategically-placed bulletin board can do all of this - and more. Vinyl and cork boards are incredibly easy to use. With a few tacks, pins or staples, papers and posters can be hung up in a matter of seconds. With a pinboard in the lobby or hallway, visitors, employees and students are sure to take note of new fliers and information. While Best Rite is most well-known for their popular visual communication products, they have a number of other useful items. Their tabletop study carrels can turn any surface into a private personal workspace. 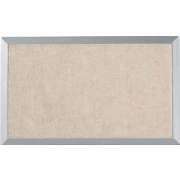 They can be used to divide up a round or rectangular table and are made of tackable material which is perfect for displaying reminders such as computer lab rules. Carrels are useful to have in a school library or other study space where students are trying to focus and want distractions to be minimized. If you are looking for some preschool storage, tub carts can really come in handy. They are great for toys and art supplies. These mobile toy storage units have plastic bins as well as a whiteboard on each end. Best Rite Manufacturing offers you an abundance of visual communication solutions. 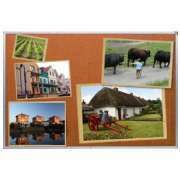 With the right cork boards and chalkboards, you can ensure that all information is passed along in a clear and understandable fashion. If you are looking for that little extra something to complete your spacial arrangement, try a display case, mobile storage cubbies or some great computer carrels.